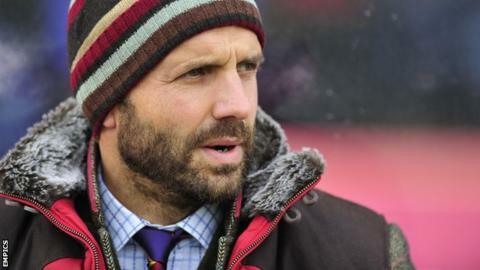 Exeter manager Paul Tisdale says he is pleased to have moved on from a turbulent few months at the club. The Grecians were placed under a transfer embargo which left them unable to sign any new players in the summer. But successive wins in League Two have seen Tisdale's side climb off the foot of the table. "It's a shame the season didn't start in September because we just weren't ready in August," the Exeter boss told BBC Radio Devon. "We look a decent side but there's a lot of football left to play so let's not get carried away." Exeter City were the subject of a transfer embargo in June after taking out a loan with the Professional Footballers' Association. Chairman Edward Chorlton stepped down ahead of a vote of no-confidence by the Supporters' Trust and that was followed by the resignation of chief executive Guy Wolfenden less than a year after taking up the role. When the embargo was lifted in August, the Grecians signed ex-Preston striker Graham Cummins and his goals against Tranmere and Cambridge have helped Exeter arrest the slump that saw them begin the season with a seven-game winless run in the league. Meanwhile, defender Pat Baldwin will miss most of the season after undergoing a knee operation. "So far this season's been about numbers," Tisdale continued. "If I've got the right number of senior players fit we're going to have a good side, so hopefully we won't lose any more."